Are you looking to buy a used car for yourself or a family member? There are plenty of advantages of choosing a new car over a used one. Some of these advantages include lower prices and being able to select vehicles and features that are no longer being produced. 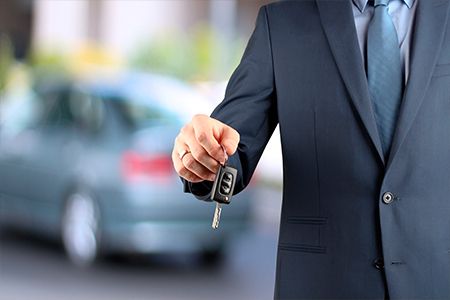 But in addition to these benefits, used car buying can also present a unique set of risks. When you’re buying a used car, how can you know where it’s been, how it’s been used, and how safe it is? You don’t want to be in an accident caused by a previous driver’s history—whether it was an accident, a failure to keep up with vehicle maintenance, or a product recall that was never addressed. Here are some tips to help you ensure the safety of the used car you’re buying. 1. Always do your research on a particular make/model/year. Once you’ve found a vehicle that you’re interested in, do some research on that particular make, model, and year. A simple Internet search can help you determine if there are any known safety issues with that vehicle, recent recalls of parts, and more. 2. Check the vehicle’s background using the VIN. 3. Try to limit your search to vehicles made within the past 10 years. The newer the car, the more advanced its safety features and standards will likely be. With recent improvements in airbags, seatbelts, and the like, newer models are often much better choices than older versions. They may also be cheaper to maintain and require less attention than an older model. 4. Consider buying a certified used vehicle from a car dealership. While Craigslist can be tempting for its prices and relative ease of use (less paperwork to deal with), it may be better to check a car dealership. Many car dealerships sell certified used vehicles that are almost as good as buying a brand new vehicle. These have been deemed safe for use and often come with special warranties that you won’t get at any old used car lot or from a Craigslist seller. 5. If you don’t know much about cars, bring someone with you who does. There’s nothing wrong with not knowing much about cars—except that it can set you up to be taken advantage of by someone selling a vehicle. To avoid this, try bringing a trusted friend or family member with you who can help you spot a good deal versus a scam. Involved in a vehicle accident? Contact a San Antonio accident lawyer. While most accidents are caused by other drivers (distracted drivers, drunk drivers, road-rage-fueled drivers, etc… ), sometimes accidents happen as a result of an issue with the car, itself. If this happens to you, it’s important to speak with an accident lawyer who can help you determine who is at fault in your situation. Contact us for a free consultation or click below to learn more about how we can help you move on from an accident.